Rounding out our week of “annual lists” is the roll call of new Mississippi listings in the National Register of Historic Places in 2018. While I normally break this up into two posts, one for individual buildings and one for historic districts, this year’s list can all fit into one post since there were no new historic districts listed in 2018. I’m told that 2019 is expected to have several new districts come up for listing, so hopefully this is just a brief pause. 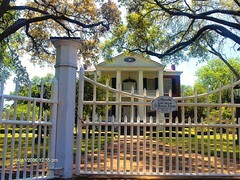 Nevertheless, we have seven fascinating individual properties, including a rare African American public library, two segregated elementary schools for white children, a post-World War II Jewish temple, two architecturally significant houses, and a church in Neshoba County that may or may not be nationally significant, depending on whether you side with the Mississippi Department of Archives and History or with the Keeper of the National Register. Read on . . . The former Myrtle Hall Branch Library for Negroes is significant statewide as one of only a handful of library buildings constructed in Mississippi for African Americans during the Jim Crow era of racial segregation. Until the 1950s, Clarksdale and Meridian were the only two cities in the state with a separate library building for black residents—other towns had no library service for blacks, sent a regular book mobile to black neighborhoods, or located a small library in a converted space such as a house. The building took its current form with an addition in 1967 made possible by federal grants that also required racial integration, and thus the building tells a fuller story of the transition in Mississippi from segregation to integration in public services. Owner Mary Frances Moton, CEO/President of Family and Youth Opportunities Division wrote the National Register nomination. Read full nomination . . .
As the center of Hattiesburg’s Jewish community, Temple B’nai Israel is locally significant under Criterion A: Social History. The first Jews arrived in Hattiesburg a few years after its founding in 1882 as a railroad and lumber town. According to one account, Maurice Dreyfus (d. 1937) was the first Jew to settle in Hattiesburg, moving from Brookhaven, MS, to Hattiesburg in 1890 to operate a saw mill. In the same year, other Jewish immigrants joined Dreyfus due to the town’s growing economic potential, and they began to conduct regular religious services at the home of Maurice Dreyfus. Many of the early Jews in Hattiesburg owned retail stores. By 1919, many Jewish-owned stores were advertising their closing for the High Holy Days in the local newspaper. These stores included The Globe, The Leader Family Outfitters, L. Rubenstein & Co., Adler Dry Goods, and S & H Katz. In 1900 the congregation occupied the top floor of the Odd Fellows Building downtown as its new place of worship and assembly.13 In 1920 it purchased old army barracks and used the lumber to build its first permanent structure at the intersection of Hardy and West Pine Streets, where Bancorp South’s main office stands now. Its current synagogue at the corner of Mamie Street and 12th Avenue South was built in 1946 and designed by Hattiesburg architects Landry & Matthes. Congregation president Brian Rifkin wrote this nomination. 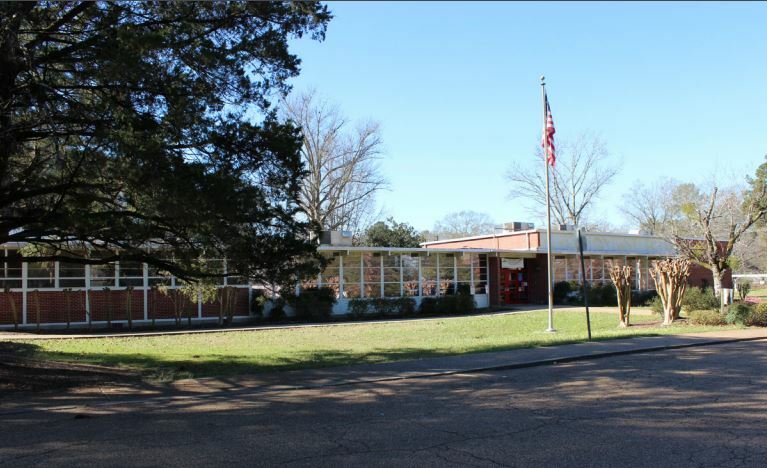 The Pearl Spann Elementary School locally significance under Criterion A for association with education and Criterion C as an intact example of the architectural design skill of Mississippi architectural firm, Overstreet, Ware and Ware. 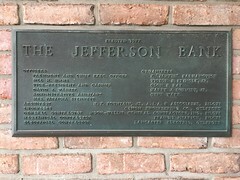 Built in 1958, the building reflects the growth of the city of Jackson after World War II as well as the city’s commitment to providing quality educational facilities for its newly annexed suburbs. The tremendous growth in Jackson’s population after World War II necessitated the request in 1956 for a $45,000,000 school bond issue. The issue on Tuesday, May 8, 1956 passed by a vote of almost nine to one. This bond issue funded the construction of three white elementary schools, one white junior high school, four temporary classroom units for an elementary school, one black elementary school, one black junior high school, and alterations and additions to a black junior high and high school. One of the schools to be built with this bond money was Spann Elementary, named for Susie Pearl Spann (1888-1956), who taught in the Jackson Public Schools for 47 years, retiring at Murrah High School in 1956, just three months before she died. The Modernist building is an example of the “cluster” type of school design, in which different functions and age groups were clustered in different wings or sections of the building. This nomination was prepared by consultant Nancy H. Bell. 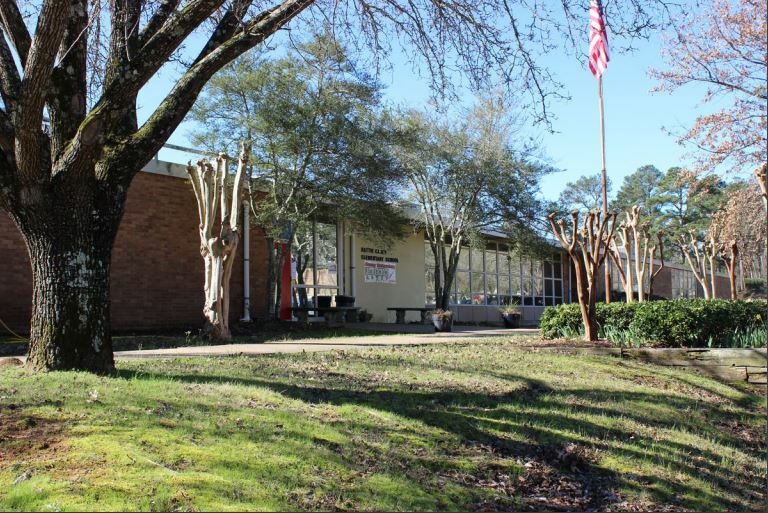 The Hattie Casey Elementary School is locally significant under Criterion A in the area of education and Criterion C as an intact example of the architectural design skill of Mississippi architects Charles Griffith Mitchell, Jr. and Neal and Chastain. Built in 1961, the building reflects the growth of the city of Jackson after World War II as well as the city’s commitment to providing quality educational facilities for its citizens. Booming population in the 1950s forced the Jackson School Board to request a series of bond issues, culminating in a $9 million bond in 1959 for construction of 170 new classrooms in both new schools and additions to existing schools, all segregated by race. 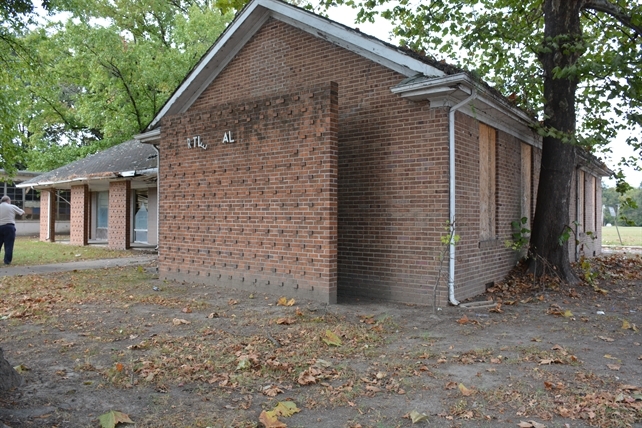 The white elementary school built under the 1959 bond was Hattie Casey, named in honor of Hattie M. Casey (1894-1959), a teacher for thirty-eight years at Jackson’s Power School in the Belhaven neighborhood. 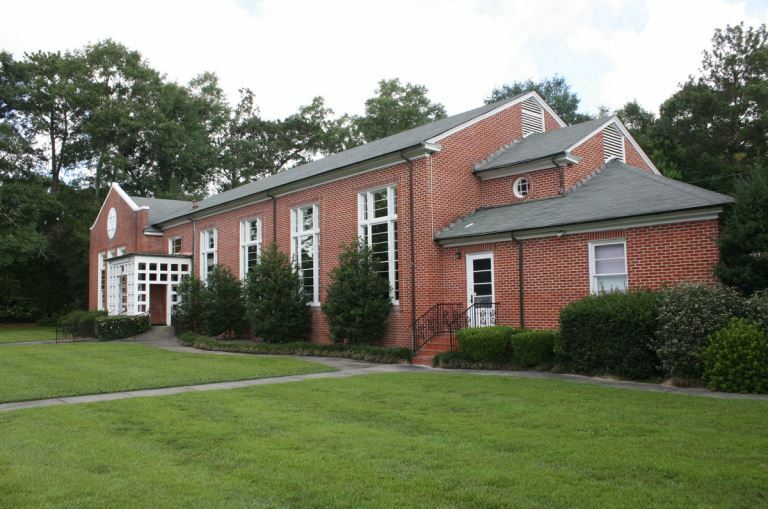 The building was designed in the International Style as a joint venture of Charles Griffith Mitchell Jr., and the firm of Neal & Chastain, and it features classrooms around two fully enclosed courtyards. This nomination was prepared by consultant Nancy H. Bell. The Waterhouse-Simmons House is listed on the National Register of Historic Places under Criterion C as a good example of the Colonial Revival during the style’s more academic phase in the 1920s and 1930s. 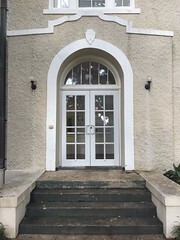 Located in Jackson’s Fondren neighborhood in an area annexed into Jackson in 1925, the house was built as the home of Clifford and Celeste Waterhouse, owners of Waterhouse Equipment Company, which sold road construction equipment. The two-story brick house exemplifies the academic Colonial Revival of the 1920s and later in its symmetrical facade, 9/9 windows, fanlit entrance with sidelights, and formal interior plan including center entry hall. Consultant Tricia Nelson prepared this nomination. The Polk-Sherard-Hinman House is locally significant under Criterion C for Architecture as an outstanding example of the Tudor Revival style in Vicksburg. 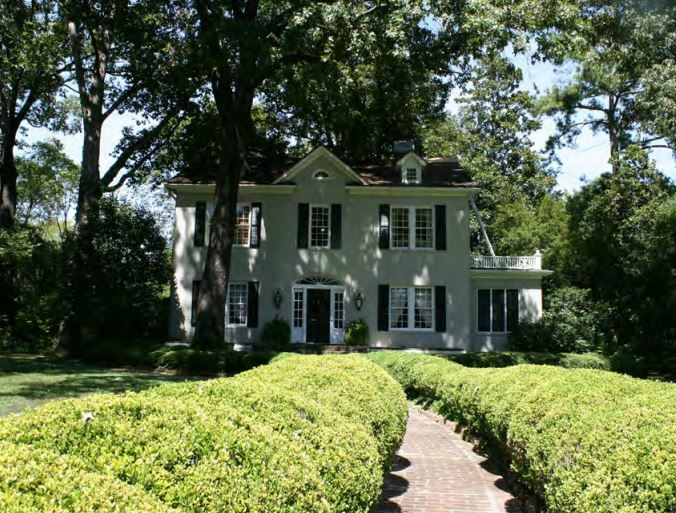 Built for Paul and Alice Downing Polk, it was designed by M. J. Donovan, a Vicksburg architect who practiced during the first half of the 20th century. Designed in an English Arts and Crafts tradition within the Tudor Revival style, the two-story stuccoed frame residence is locally significant as an outstanding example of Donovan’s professional ability as an architect and as the only Vicksburg example of this variant of the style. Mt. Zion Methodist Church is nationally significant (see below) for its association with Social History and Ethnic Heritage: Black for the role it played in the summer of 1964, when white supremacists burned the church with the intent of attracting civil rights workers to Neshoba County, and subsequently murdered the three men who arrived to investigate. The killing of James Chaney, Michael Schwerner, and Andrew Goodman was a signal event in the history of the American Civil Rights Movement and Mt. 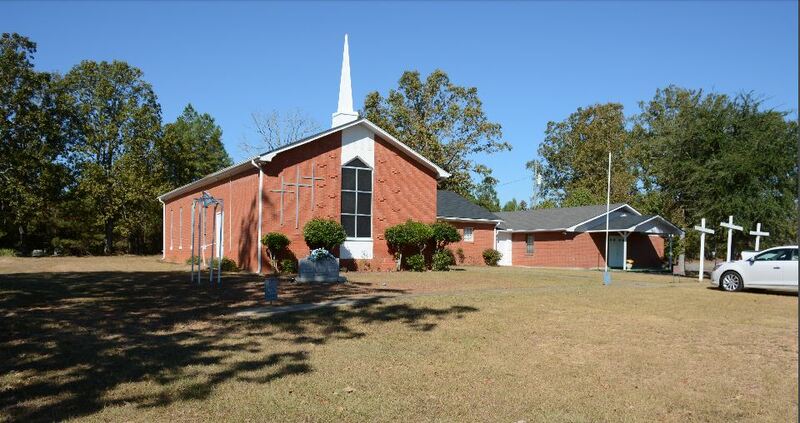 Zion Methodist Church remains as one of the most important sites associated with the events of the summer of 1964. The Mt. Zion congregation rebuilt their church on the same site in 1966 (with repairs in 1971 after a non-arson fire) and it stands a symbol of the response to the violence of those who opposed freedom and equality for all people. Even before the completion of the new church building, Mt. Zion Methodist Church began a yearly memorial honoring Chaney, Schwerner and Goodman and others who gave their lives in the struggle. The rebuilt church is locally significant in the context of the rebuilding period for African American churches across the South after arson fires burned their previous sanctuaries. 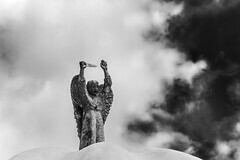 Concentrated in the 1960s, the rebuilding period stretches to about 1980, as congregations made a statement by rebuilding on their historic property in building programs that often took several years or even decades to complete and often involved funding from philanthropic organizations. This nomination was prepared by Rachel Krawitz, Director of the Historic Preservation Graduate Program at Delaware State University and Bill Gatlin, (retired) architectural historian at the Mississippi Department of Archives and History. The position of the Keeper remains that the nationally significant event of the murder of Chaney, Schwerner, and Goodman is best illustrated by multiple properties in the form of a discontiguous district. In isolation, the Mt. Zion Methodist Church tells only a part of the story (and important part) and that even evaluated as a “place,” the changes to the site affect the historic integrity of the property as it relates to the events of June 21,1964. The original church, burned a week before the meeting took place, is no longer extant. New resources, including the rebuilt church, the Fellowship Hall and the Masonic Lodge alter the setting of the property as it was on that day in 1964. The property now stands in testimonial to the strength and resilience of the congregation and community, and has achieved significance not just for the events of that June night, but beyond. The Mississippi State Historic Preservation Office (MDAH) was notified of this amendment. Read the full nomination to see if you agree . . . 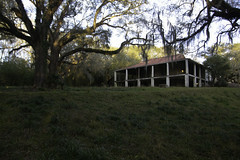 Even more National Register lists! I have driven past the Myrtle Hall building so many times in the past and wondered about the story behind the building. Interesting take on the Mount Zion church. So, because the first building was destroyed, the one built to replace it and which has carried on the work does not have national significance with the Civil Rights Movement. That seems a somewhat short-sighted position. Place can be more than a physical building, but the fact that it represented something of national importance in the rebuilding of destroyed churches throughout the nation seems to indicate a greater sense of place within national context. thanks for this ‘review’ of last year’s entries to the national register. the nominations are well-written and congratulations to the respective creators; there is always a lot of interesting background information in each nomination, too. 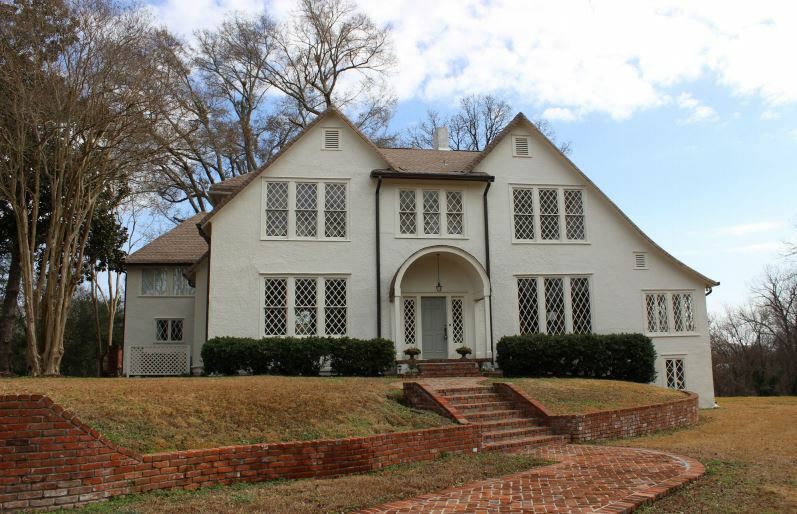 i have commented on the very familiar hattiesburg synagogue before, and, now, i want to see if paul polk, the client for the tudor revival house in vicksburg, is a previously-unknown relative. No room at the Inn for Senator Bilbo’s “poured-in-concrete,” Streamline Moderne-design by P.J Krouse Brooksville High School? Krouse was also the design architect for the original Lee High School that burned in 1957(?). Krouse served on a WPA board in his native Meridian. He died in 1943 soon after the completion of the Brooksville School. The Bilbo Archives contain papers and telegrams involving efforts by the John Calmes family and others in getting Bilbo involved in resurrecting the original WPA permit to build the school in 1941. The funding lapsed due to cost overruns. The structure was only two-thirds toward completion when Senator Bilbo came to the rescue. Even after the WPA program had ended in 1942(? ), Bilbo was able to get “Presidential Approval” to complete the school building. A copy of the “Presidential Approval” Western Union Telegram from Bilbo is in the files. Maybe Trump will use the “Bilbo Precedent” to build the Wall, taking monies from the Pentagon budget as the “isolationist” Bilbo did in diverting monies from the “Bombing Germany into the Stone Age” Plan in order to build a school. There are still living in Brooksville members of that first Brooksville High School graduating class in 1944(?). National Register status did not save the African American Carnegie Library in Meridian from being demolished by the City of Meridian, hopefully Myrtle Hall will have a better fate. Indeed. Any plans under discussion? Of course not, Meridian never has any plans; they just demolish historic buildings because they can and because nothing says thriving city better than weed-covered vacant lots. 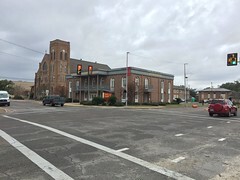 But, if you mean Clarksdale (and you probably do), then I have news that it is being renovated into the Myrtle Hall Library for Negroes Museum, scheduled to open in May 2019 according to the Delta Business Journal: https://deltabusinessjournal.com/renovations-scheduled-to-begin-for-myrtle-hall-library/. Yeah! and thank you for some good news for a change. I hope folks will let us know if and how we can help.